WAIST HIGH: Howard Jones Celebrates 25 Years. Howard Jones Celebrates 25 Years. 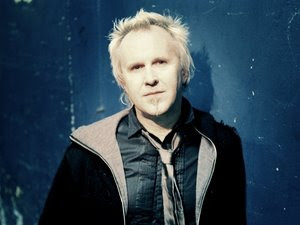 Celebrating 25 years since the release of his debut single "New Song," Howard Jones will be performing a musical spectacular spanning his 25 year career to date at The indigO2, the intimate live music venue at The O2 in Greenwich England on Sept. 20. The reportedly sold out show will be available on CD to purchase for those in attendance minutes after the concert has ended. "This is not a typical live album, and it's not a bootleg. Think of it as something in-between a unique and official souvenir to remind you how amazing Howard's live music is." The concert release will be on 3 CD's and is being handled by Live Here Now - part of Mute Records. For those who will not be attending, the CD's will be available for order via the Live Here Now website. The CD's will also be available for download via Live Here Now on Sept. 22. The track listing will be available on the Howard Jones Website on Sept. 21. "New Song" was released in September 1983. The song was featured on the album Human's Lib, which was released in March 1984, and went to #1 in the UK. The three other singles released from Human's Lib were "What Is Love," "Hide And Seek," and "Pearl In The Shell." "New Song" reached #3 in the UK and went to #27 in the US, although it was not released here until early 1984.